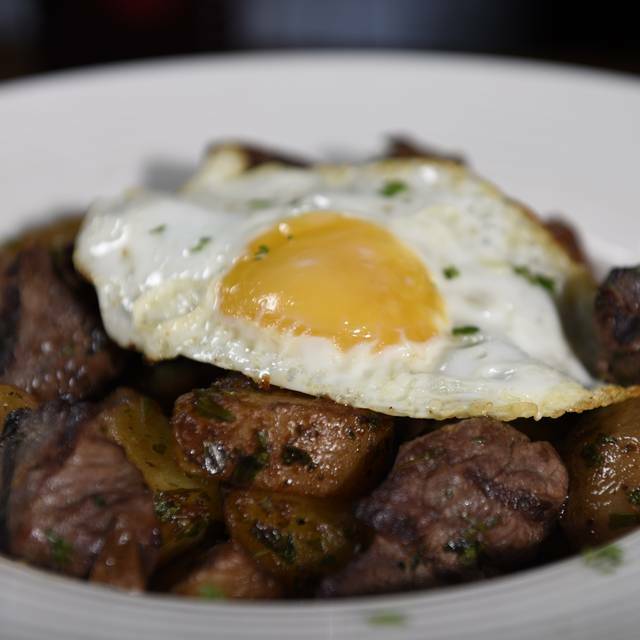 The Bountiful Cow is one generous beast: a public house devoted to beef. 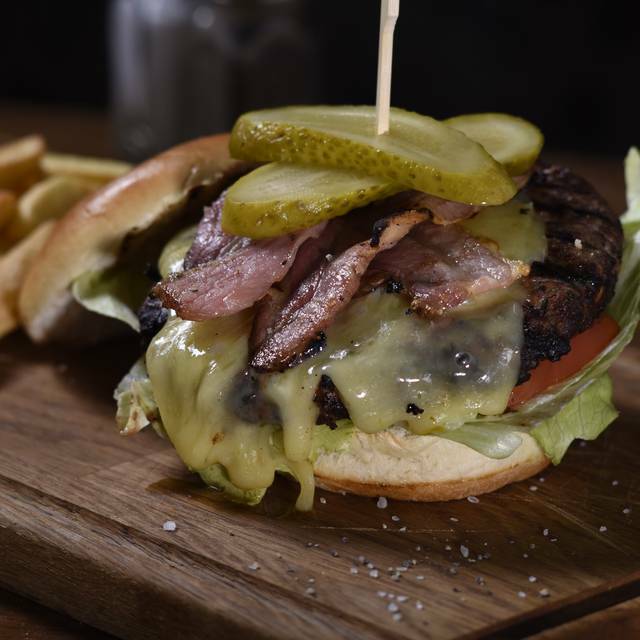 Executive chef Roxy Beaujolais (of Seven Stars and TV fame) serves large steaks and larger burgers at pubby prices, plus cask-conditioned ales and good wines. The young, relaxed ambience features bright décor, cowboy film posters and moo-cow ads. Dine in banquettes, or on Lloyd Loom chairs, at oak tables—either at bar level, or downstairs, with the kitchen entertainingly visible through glass. 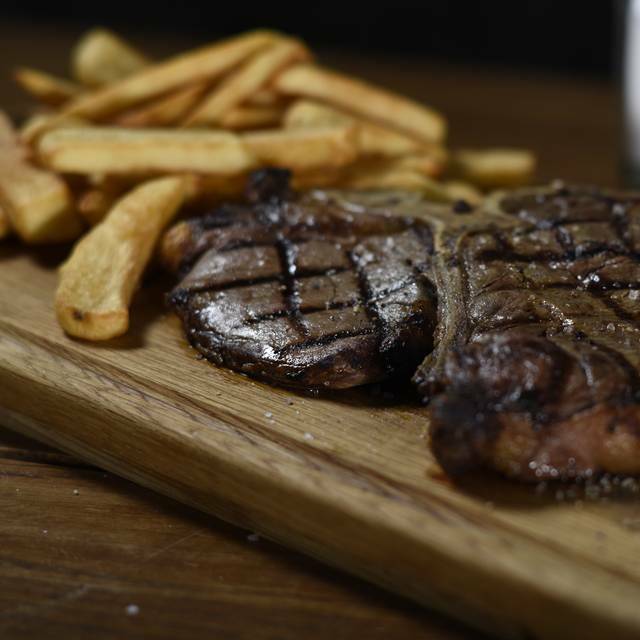 The menus feature aged steaks and burgers (free toppings if you wish), and other dishes; even some vegetarian ones. 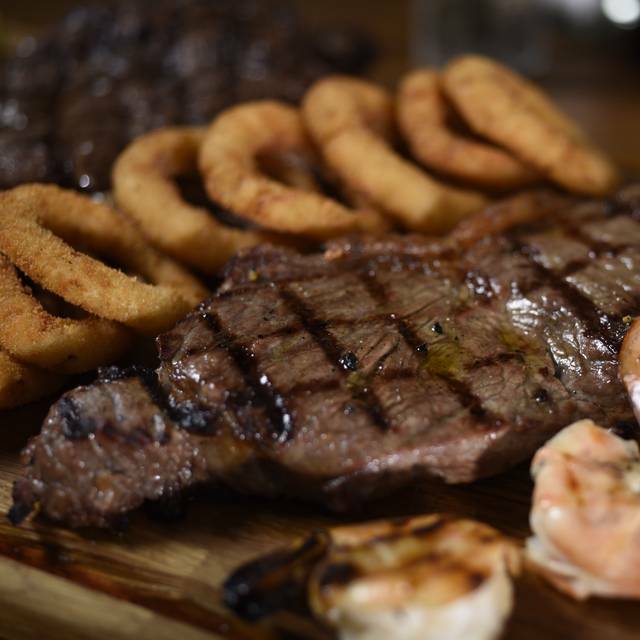 Surf and Turf Grilled sirloin and grilled lobster tail with chips, choice of your sauce and a glass of 175ml Merlot £30. Booked without knowing too much about the area. A pleasant surprise. Lovely little place tucked away. Great food, fair price and excellent service. Good service and food. Worth a visit.. I don’t think any of us finished our meal! It was nice and chilled and we weren’t rushed. Really nice place. Incredibly friendly and accommodating staff and excellent food. We were so happy to find this little gem last-minute on a Saturday, for our relatively large party of 9. I, personally, come from the Midwest in the United States, in our state there are more cows than people. That being said, I can confidently say that this was probably one of the best steak meals I have had in quite some time. The filet was done to perfection and the sides were excellent! We ordered the mashed potatoes and the sliced potatoes. I made sure to personally thank the chef and staff, they seemed very pleased to hear it! The service was excellent and the ambiance was just what we needed. I was extremely surprised to find it was not very busy on a Saturday evening around 7pm...there is no reason that it should be that way. I hope you'll visit, you won't be disappointed! We are here last week and although very busy upstairs we were promptly seated downstairs and the service was excellent. The starter sharing platter of meats and cheeses was superb and our main steak meals were all good. I would recommend this for great service food and value. Enjoyed the food here. It was nicely cooked and tasty. Staff were very friendly and efficient. Quite noisy but we went on a Friday a week or two leading up to Christmas so expected. Recommended for steak lovers. Tasty steaks. Great wine and ale choices. Friendly service. Top place! Great place. Good beer and outstanding steaks. Never had a bad meal at The Cow. Magic! The atmosphere was nice and the service friendly. A lovely little table downstairs was very nice. The starters were lovely - both the pate and the prawns - and the mains (all steak) were nice, however slightly overcooked. One needed sending back but they were great at cooking a new one. Sides are slightly overpriced but all in all was a nice meal. The food was ok. Filet looked much better then the t-bone I had. Frozen fries were disappointing. Should have been made from fresh potatoes. Mushrooms were over cooked. The food was outstanding, quick and efficient service, the waiters were lovely and accommodating. I can't speak highly enough about this place. It made me extremely happy and I'd definitely come back again and recommend it to friends. Personnel à l'écoute et agréable, lieu très calme et viandes excellentes. Que demander de plus ?! We booked the Bountiful Cow for a quick pre-theatre meal. The service was brilliant and attentive, the order was placed quickly and the food arrived in good time, as we mentioned we had a show to see. It's a very friendly cosy little place, litte off the beaten track but easy enough to find. I ordered the fillet steak which was perfectly done and the other half had the burger which was very big and tasty. I would definitely go back and really recommend. The meal was ok but for what we paid we were a little dissapointed. We both had a steak and it came with frozen chips nothing else. There were only 6 people in the whole place all night, including us. All in all it was ok but nothing to write home about. I booked this for a reasonably informal business meal but realised as I saw the location that it wouldn't have suited a more formal one. It's tucked away, which will appeal to many. Not too busy. My steak tartare looked a little like a large, raw beefburger (!) but did taste as it should so just a coincidence. Steak sandwich good. The staff were very helpful when I had to change the booking a couple of times within the space of an hour beforehand! Think I'd recommend for social/informal occasions. Lovely bar with decent food. Steak was good for the price, would go back. Three of us went to the Bountiful Cow. Perfectly cooked steaks and a lovely bottle of Malbec. Great staff. Recommended. Steaks excellent, but choice and quality of wine not good. Best steak I’ve eaten in ages. Not silly London prices either. 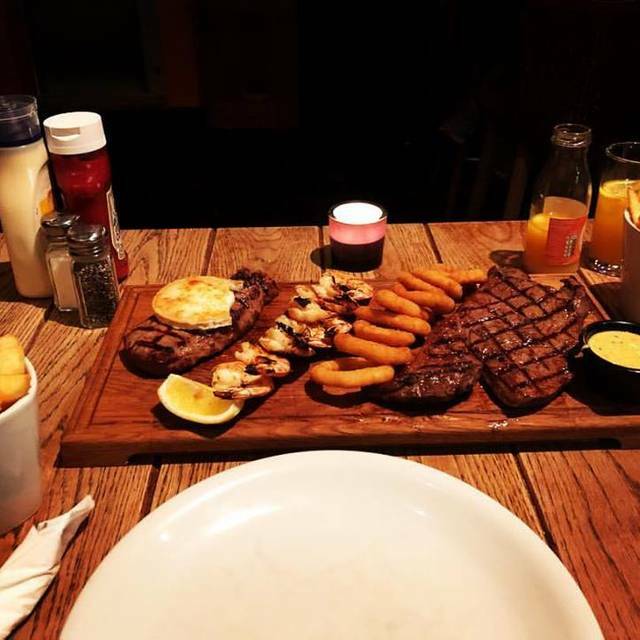 Located close to where I work, I took advantage of the 25% discount and my girlfriend and I had a rump and sirloin steak respectively. The food was well cooked and filling. The service was good as always. Highly recommended place to dine. Really great restaurant for a burger or steak. Food was excellent. We went on a Saturday evening so not very busy but the place still had a really nice atmosphere. 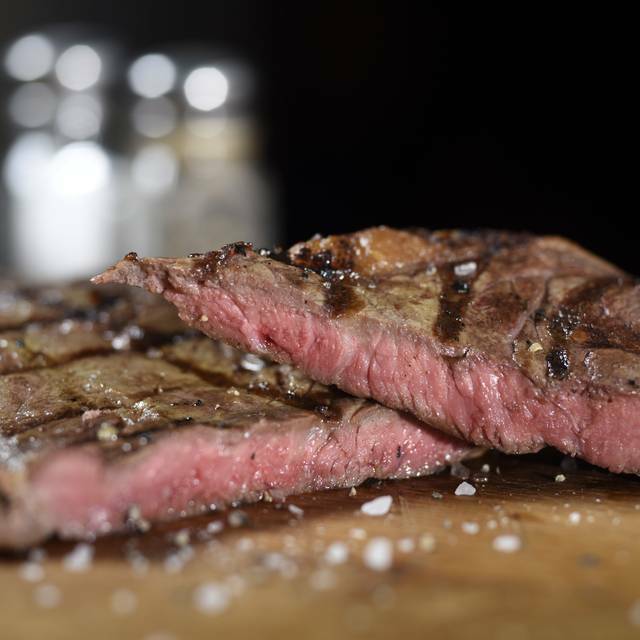 Straight forward menu, succulent steak and great service. A great little find. Small and friendly restaurant serving up big delicious steaks at a reasonable price - fabulous! A bit disappointed! This bar/restaurant gets good reviews but when we visited on a Friday evening, the place was very quiet throughout our meal and did not have much atmosphere at all. The food was fine but nothing to write home about. The service felt a bit poor considering there was hardly anyone else in the restaurant. Overall, an underwhelming experience. Relatively quiet for a Saturday, but very happy with the food. 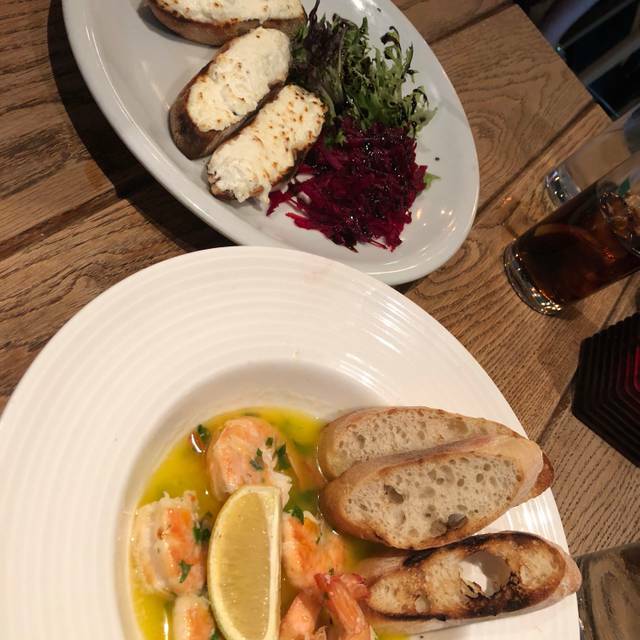 I chose this restaurant as some family were travelling into Liverpool Street and it wasn’t far for them to go, plus there were 8 of us and I was able to make a booking. The staff were very friendly and helpful, we were able to taste the wine and were offered to get something else if we wanted. I wanted a side salad and they offered to do a mixed salad that wasn’t on the menu. The steaks were amazing, if I was ever in the area again I’d definitely go back. Lovely music in the background, and although we had to go downstairs to eat it wasn’t dark and as we were the only booking at that time it was almost like a private dining room. We had more drinks after in the bar area. It was a really nice lunch and everyone enjoyed it. Booked for my birthday with family and all loved the food. Steaks were cooked to perfection. No leftovers! Great service and very good value. Great food, quick friendly service. Great place, going back with a large party. Very happy.